﻿ Caravan or Motorhome? Our latest poll asks, would you swap? Latest poll asks: Would you ever switch from caravan to motorhome or vice versa? This poll is now closed – we’ll have a new poll for you very shortly. Don’t worry if you didn’t vote in last month’s community poll, we have a brand new poll ready for you to get involved in. Here at Caravan Guard we insure caravans and motorhomes; we love them equally and we simply couldn’t decide on a favourite. You lot, on the other hand, can. If you own a caravan, chances are you’ll prefer them to motorhomes and vice versa, but have you ever thought about crossing over to the other side? Which brings us nicely to this month’s question: Would you ever consider switching from a caravan to a motorhome or vice versa? Would it be a touring travesty to switch from one to the other? Or does it happen more often nowadays? Tell us what you think and remember to explain your answer in the comments section below. As always, we’ll publish your comments when we reveal the results next month. They both have their place, and I agree with the comment about a caravan being more suited to setting up on a site for longer durations as you have the flexibility of going out in the tow car, however we love to travel in our motorhome and the flexibility for wild camping. I agree that you have to plan ahead regarding shopping trips and parking barriers, but we take our bikes and panniers and get around ok, we are a family of 5 and wouldn’t consider swapping to a caravan. Thanks for the comment Richard. Good point about using bikes to get around once pitched up. It’s interesting to hear so many pros and cons! The results were neck-and-neck but we’re starting to see that the majority of you wouldn’t switch. We’ll be announcing the results next week so watch this space! Wouldn’t change from caravan to motor home because you would need to tow a car behind it to be able to set up the motor home and leave everything in place for duration of stay. Have a motorhome at present and tow a Smart so no inconvenience when sited & I hate cycling anyway! Used to caravan but as I like decent sized accommodation I would need a large 4×4 to tow it and would then have to use it as a daily car which wouldn’t suit me as I enjoy driving too much. We have found the best of both Worlds, tow a caravan with a VW T5 Topaz. You then have all mod cons when out and about and can go places those great big “removal vans” can not reach! VW tows a Bailey with not problem and and can cruise all day with ease. Go for it. Have fun and a bit more room! Having a motorhome is a burden when its based in a campsite you can’t just up and drive off for the day, with a car & caravan its so much easier, so YES I would definitely swop from motorhome to car+caravan!!! I wouldn’t change from my motorhome. I travel self sufficiently and have no need of sites unless they’re convenient, no setting up. I don’t have to pay for a site and then have additional parking fees for a car. I’ve not encountered any limitation to where i visit and achieve access where towing a caravan just wouldn’t allow it. No contest…a motorhome over a caravan anytime . 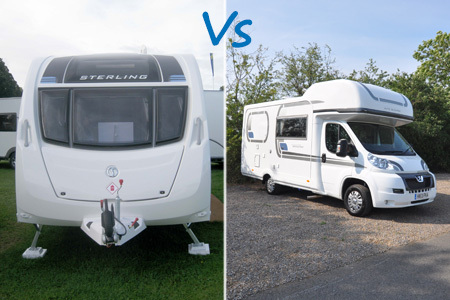 Depends on your lifestyle, both have advantages , with a caravan you will have car to explore from a fixed base but if the ultimate in flexibility and a desire to explore wider ranges is your ambition , then the choice will point you towards the motorhome, however would I switch from motorhome to caravan, not likely ! We had many great holidays in hired Motorhomes touring UK, USA, Norway and New Zealand so when, in 2010, we could afford our own, we had no hesitation. I have never considered a Caravan as I have never been keen on towing but mainly because we prefer to travel around rather that stay on the same site for the whole holiday. As I see it Caravans and Motorhomes are to different tools for different purposes. If you intent staying on the same site for the duration of your holiday, a Caravan must be the best option, whereas if you intend to tour staying at a different site each night a Motorhome is far more convenient. Can’t understand having a motorhome and then hitchng up a car – why not have a car and hitch up a caravan! You can buy both for the price of a modest motorhome. We had a motor home for seven years and loved the convenience of arriving on site and being ‘insitu with everything working within five minutes or so. The downside was that following our hobby of metal detecting we were usually parked wild in muddy fields when attending detecting rallies. Had to be towed off the fields three out of five times on average and all good fun. The biggest downside was that often the detecting fields were a mile or so from camping area. This meant cadging a lift or walking to site. Early this year, at the age of 78, I attended the caravan club towing course and we swapped the motor home for a caravan and a 4 x 4. We soon got used to the slower driving speeds and the extra time in setting up but the resulting freedom to travel was brilliant. Have not been stuck in mud or wet grass since the change and I don’t think we would change back. We have just changed after 11 years of motorhoming to a Caravan. It takes a bit of getting used to but up to now I’m really enjoying it. December we will be travelling to Switzerland for 3 weeks skiing so the jury will be out until we get back. We are all season campers and up to now I have enjoyed the freedom of just jumping in the 4×4 and taking off to different places rather than unhooking, walking, biking or catching the bus. The down side is the setting up on site, it seems to take forever compared to the motorhome but once its done its done. You’ll have to get back to us with your final verdict in the New Year Derek! Have fun! Thanks for your comments everyone! There are clear advantages of using either a caravan or a motorhome – it does perhaps depend on the individual(s). Keep the comments coming folks, we’ll try to publish as many as we can next month. It is just so more convenient once on site to see the area with your car. I can understand if you do not get on with towing a caravan, but there is a lot of help from the clubs to give confidence in towing. Switched from motorhome to caravan and 4×4 last year and don’t regret it at all. Towing is easy and I can leave the caravan and go places in the 4×4 I could never get to in the motorhome. It takes a bit longer to get to the site and set up the caravan, but motor movers take all the hassle out of that process and it’s so much easier to level a caravan – no more rolling across the bed on sloping sites, because the wheel chocks aren’t high enough! We had a 5 berth motorhome first but found it held us back from visiting the places of interest due to parking barriers as it was too high for car parks so we changed to a caravan. Love it, so much more comfortable feels more like a home and we can now also get about in our car. Well worth the change. We had a caravan and switched to a motorhome four years ago, then this year I had a hip replacement and the above garage bed was a no-no. So I’m now the owner of another caravan and really looking forward to the new year. Pluses for motorhomes have to be the parking up on site, and use of your facilities when you go out for the day. Pluses for caravans has to be easier parking when you go out in your towcar, and more space on board. I’ve been caravaning and motorhoming since 1974. First a caravan and then another then another, then a motorhome, back to a caravan and then another, then a motorhome then another then another then another. I like both. With the caravan you have the car to use for getting hither and yon and with the motorhome we either have a car behind us on a trailer, just to be legal in Spain, or the quad. So long as we can get pitched on a site in my opinion that’s all we need to worry about. It’s the best thing one can do in either format. We find a caravan is best for us as we can pitch up and the tour the area, before moving on. We only need one car to both pull the caravan and use when not caravaning, as to moving around motorhomes are only allowed to go 10mph faster than a caravan so there is only a little advantage there and if they pull a car then they are the same as a caravan. Motorhomes are OK but they are very expensive. Use whichever suits you. As above changed from years of motorhoming to a caravan as have mobility problems and need the car for getting about, also love the caravan. Have just switched from a motorhome to caravan, having a car on site will give greater flexibility to visit places over using a cycle. afternoon 25 years of motorhomeing we swapped in 2011 jus t before I retired It takes a bit of getting used to lower speeds more hassle getting ready and parking up. 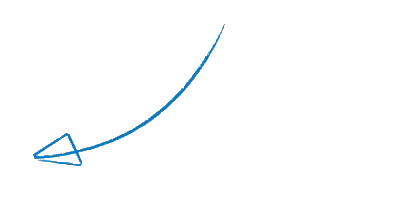 But as we now go away for weeks and months reather than days and weekends it works out better in the end . I have nothing against Caravans but having had a nasty experience towing many years ago I would not swap my ‘van for a Caravan. Besides which I like having my home all around me, even when I am driving.